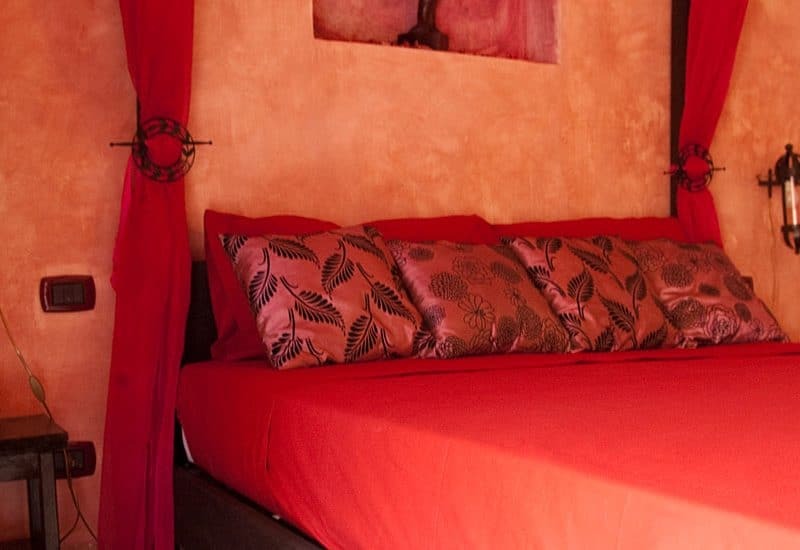 The design of this room has been inspired by the warm mid-east African nights and by shades of crimson, which will certainly capture you. 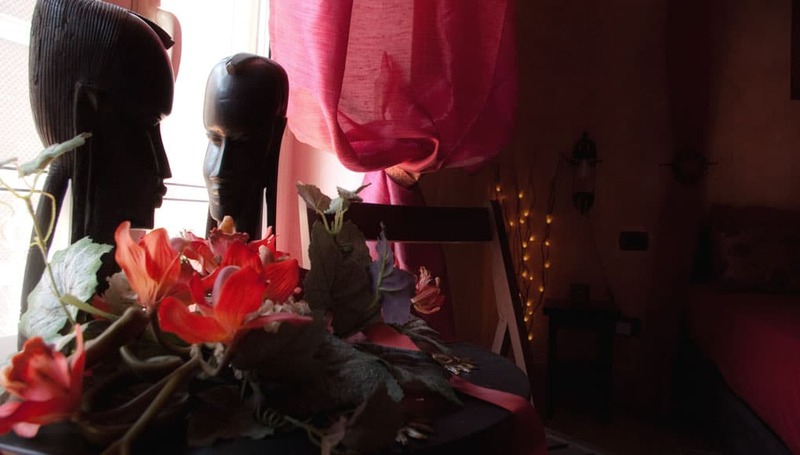 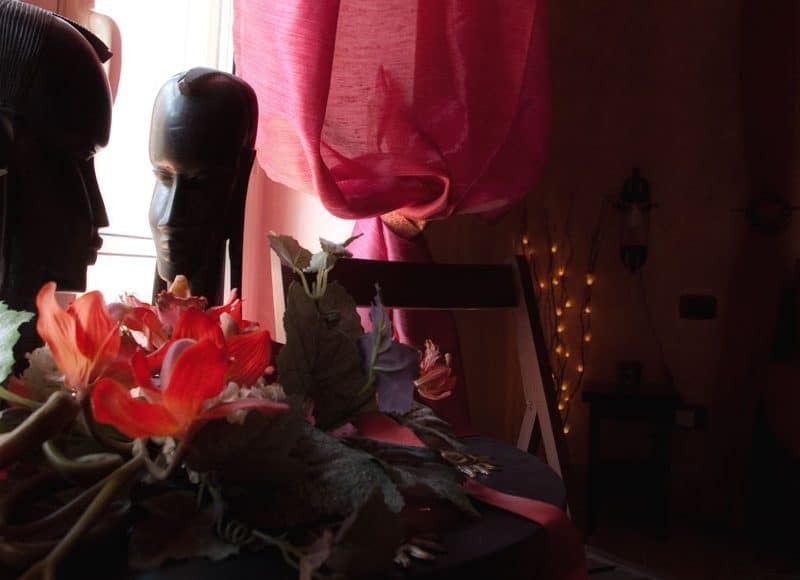 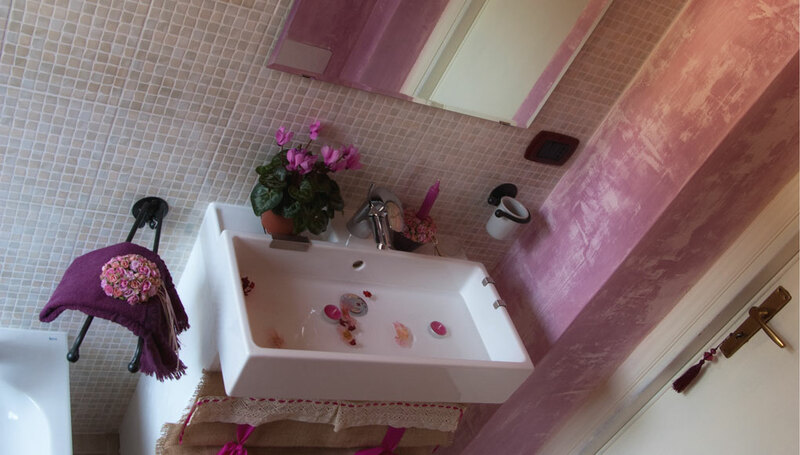 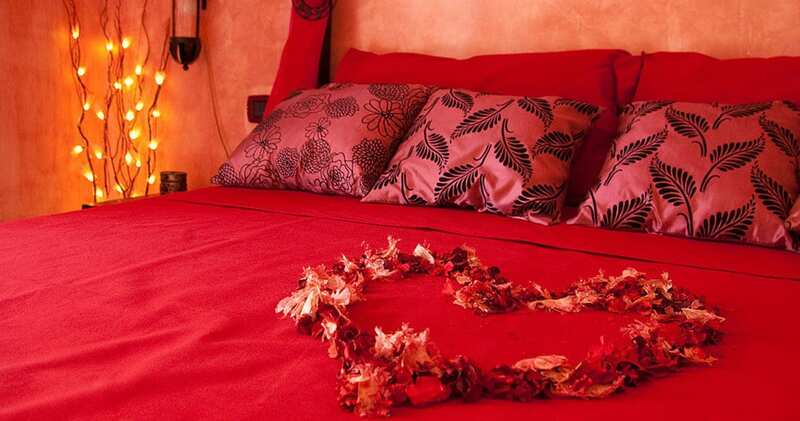 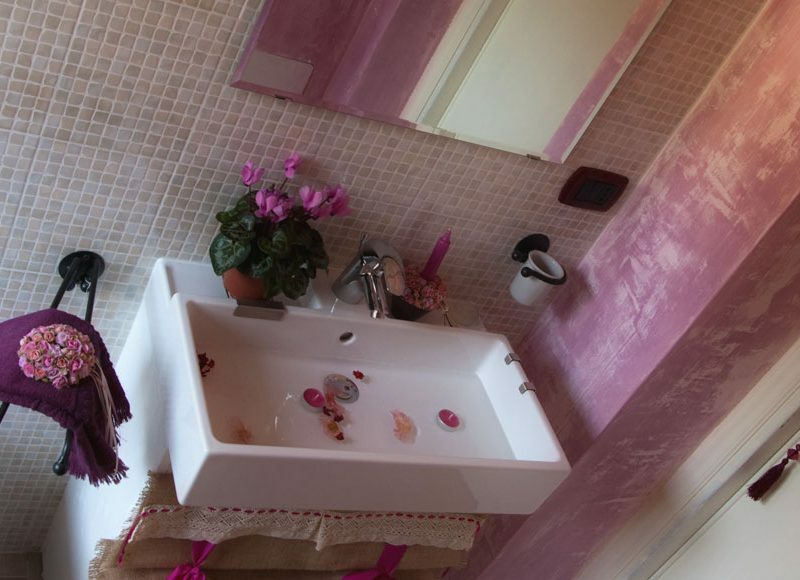 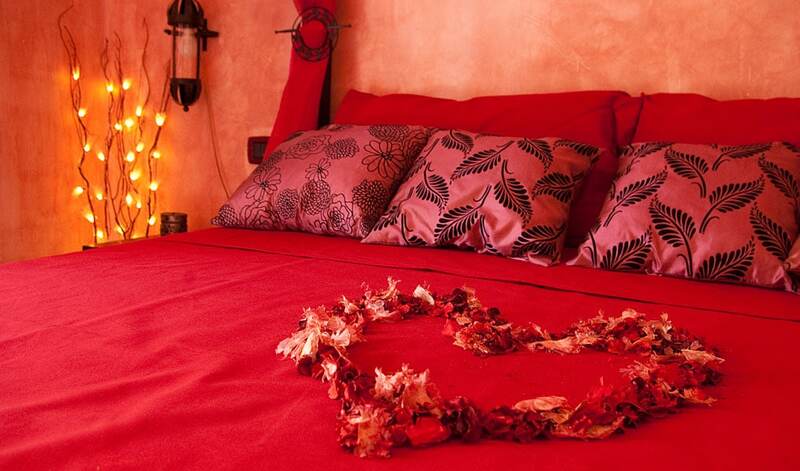 A room dedicated to the red rose, the symbol of passion. 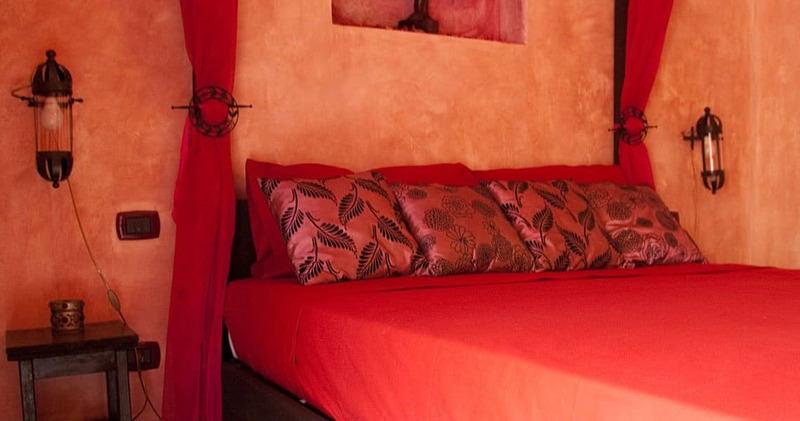 At the center stands a colonial four-poster bed, embellished with veils and red roses, and an exotic chandelier, made up of polychromatic crystals. 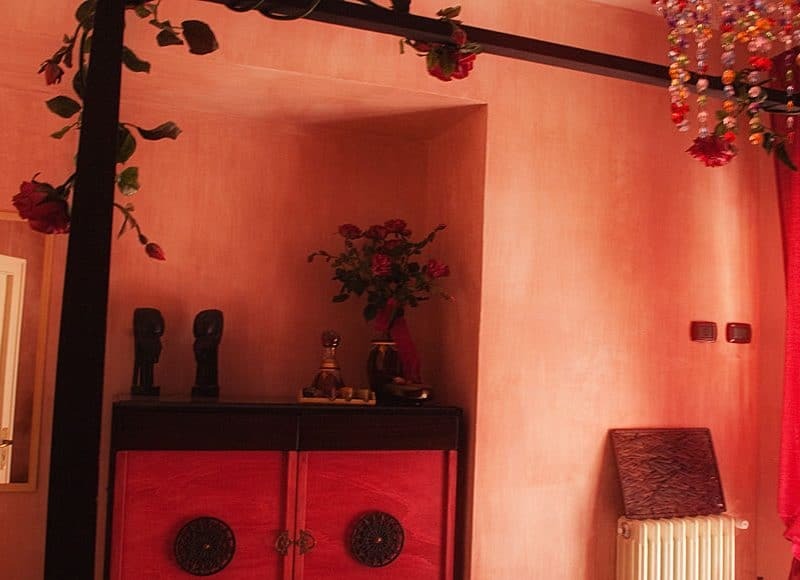 The unique closet has been designed by us, and it is the result of our creativity, inspired by ethnic furnishings. 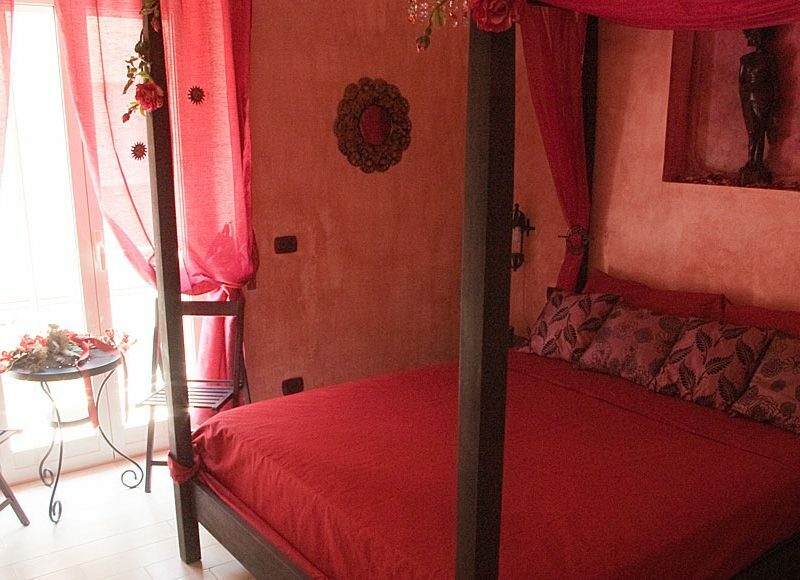 This room has its own private balcony and a bathroom in perfect harmony of style, sunny and spacious.